Solana Beach Therapist: Peter Lambrou - Therapist 92075. Send A Message To Dr. Lambrou. Dr. Peter Lambrou is a licensed psychologist (PSY 14435) in private practice and he is past Chairman of Psychology at Scripps Memorial Hospital in La Jolla. Peter has taught professional and general level continuing education courses at the University of California Extension, San Diego University for Integrative Studies, and other learning institutes. He is author of several books including the award-winning “Instant Emotional Healing: Acupressure for the Emotions," the best-selling book, “Self-Hypnosis: The Complete Manual for Health and Self-Change,” which has been translated into 14 languages and has become a classic on the topic and his most recent book, "Code to Joy" by Harper Collins. Peter provides a warm, comfortable, and confidential environment where you can discuss your concerns and be understood as together you identify specific goals, talk about the treatment options, and formulate an effective plan. Therapy should be a collaborative process where you and your therapist work together. Good psychotherapy for anxiety, depression, and stress-related problems are not just what happens in the therapy session, but what happens in the time between sessions as well. 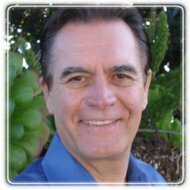 Dr. Lambrou has been in practice since 1987 and is a member of numerous professional organizations including the American Psychotherapy and Medical Hypnosis Association (of which he is a past-president), the San Diego Psychological Association, Association for Psychological Science, and others. Peter is a dedicated professional and he and his wife have grown up in San Diego County and have two children of whom they are proud. Peter offers a complimentary 20-minute telephone consultation to understand your concern and to provide his recommendations on your situation. Call to arrange a time with his secretary at 858-259-2752 in the San Diego/Solana Beach area.